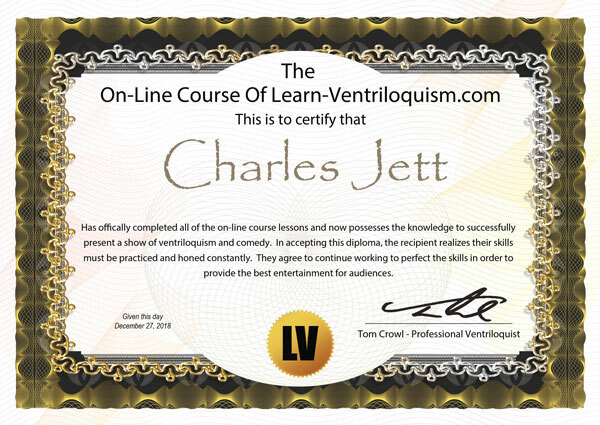 A big congratulations to two of our latest learn-ventriloquism course graduates. Thanks to both of you for taking the time to put together your graduation videos and send them to me. Continue to work on your skills and please stay in touch through the site or by email to let me know how you are doing!